Long Stay accommodation in Kai Bae. 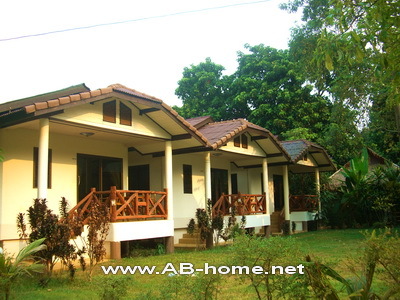 This bungalow resort in Koh Chang is located in Kai Bae Beach on a small road about 300 meters from the beach. Sanook Sanang has bungalows, rooms and a restaurant for budget traveler and long stay tourists in Thailand. The rooms are clean and quiet. Around the rooms with hot water shower is a nice garden with palms and tropical flowers. The Tuk Tuk in the front of the restaurant is the landmark of Sanook Sanang Resort. You will find the hostel near the second 7eleven inside the small mud road. To the main road of Kai Bae it’s just 100 meter. There are many touristic shops and restaurants for dining and nightlife on Ko Chang island. We offer special prices for long time stayers. Many different prces in between.